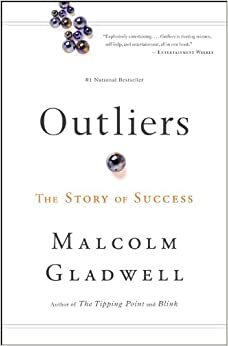 I started reading Malcom Gladwell's Outliers this week. The basic thesis of this book is that "outliers," particularly successful or extraordinary people like Bill Gates or Andrew Carnegie are not solely the product of hard work, genius, or go-get-ivesness, but a combination of brilliance, opportunity, and/or luck. In one chapter he uses the case of psychologist Lewis Terman's longitudinal study of geniuses, "Genetic Studies of Genius". Terman's "termites," as he called them were children selected from prestigious families and schools for the highest of high of IQ scores. His hypothesis was that when these children grew up and impacted their professions, you would find multiple Nobel laureates, Pulitzer Prize winners, and influential civil servants. More than 40 years into the study, his hypothesis was critiqued as resoundingly false. One contributing factor to success beyond our popular notion of "high IQ" is creativity. Successful individuals are not only "smart," but they are often creative problem solvers and abstract thinkers. Gladwell introduces an "alternative intelligence test," that measures divergent intelligence (ability to think creatively in many directions vs. traditional IQ assessments that measure convergent intelligence, the ability to eliminate other options to a "right" answer). One of the more popular tests is Guilford's Alternative Uses Task (1967), which asks participants to think creatively about common, everyday items. How could I use this in my class? I think administering the Alternative Uses Task would be a great thing to do with your students when trying to unlock creativity or effort in your classroom. Many students who may feel insecure about their traditional IQ intelligence could do well at the task, opening up for you (and them) the idea of who is "smart" in your class. Divergent thinking is important in finding multiple solutions to problems that can often get kids stuck on word problems/ open-ended problems. Knowing who the creative thinkers are in your room helps you and your students know who to go to as the "experts" when students are stuck for ideas. Facilitating these exchanges also open up opportunities for leadership beyond the "smart" students, engaging more of your students. It could be especially interesting as an opener to presenting your students with a 3-Act Math Story.